Simply Shic Fashion Trunk | A Moving Story of Style! All aboard the treasure truck! This is a story of how dreams can be found in the most unexpected places. When I first met Shica a few months back, she told me the story of how she painstakingly & patiently spent the past few years working on her dream. 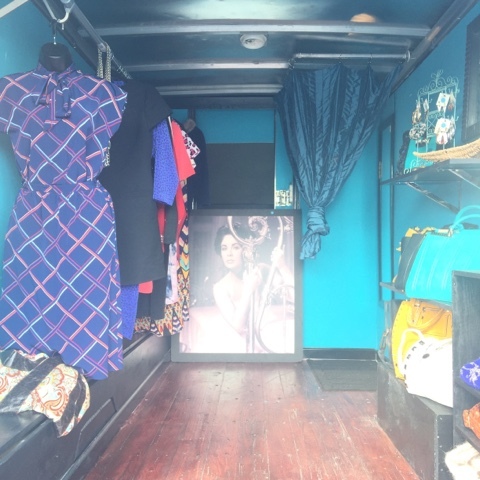 The dream of owning and operating a fashion truck in Atlanta, much like the popular food trucks we see peppered around our city. But fashion in a 17 footer? Who thought possible in Atlanta? 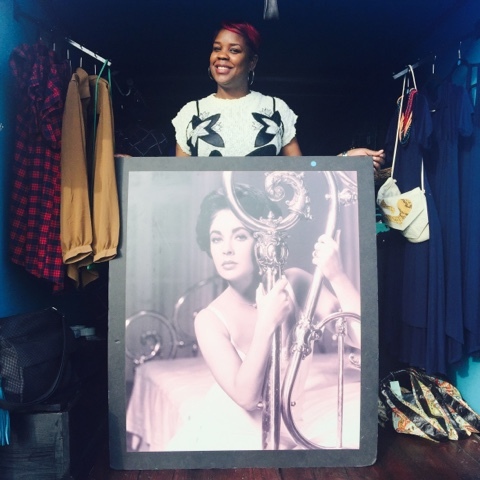 With a few hurdles & humbled beginnings, Shica's dream was realized and Simply Shic Fashion Truck was born! On a very sunny & warm November day, Small Business Saturday to be exact, I had the opportunity to attend Shop Small Atlanta Food Truck Park & Market to rummage through her goodies, style a few pieces, drink wine, eat handcrafted sorbet in a waffle cone from 2 Scoops and sit in the back of her truck for a chat. It was delightful! 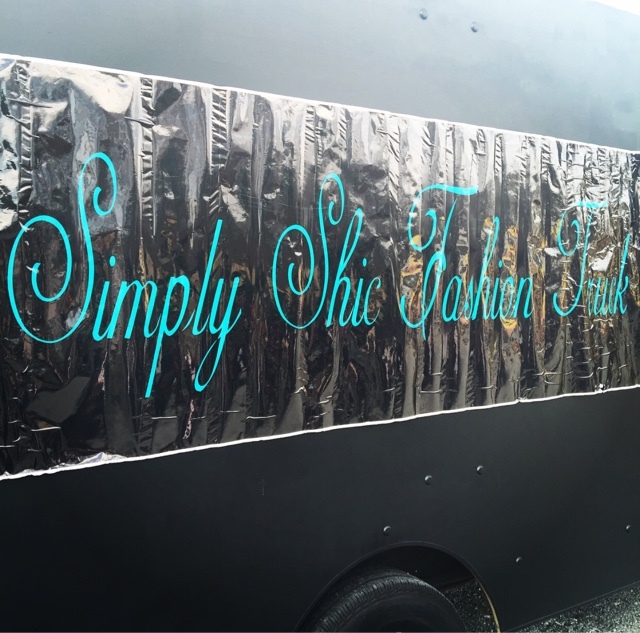 The exterior of the Simply Shic Fashion Truck is a chic black. A view of the inside of Simply Shic, which includes a private dressing area. 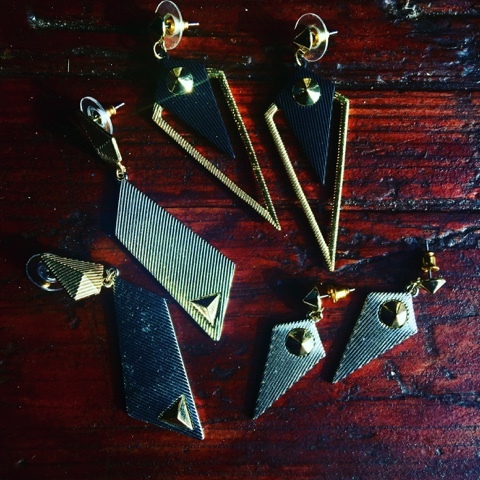 Loaded with a mix of vintage and new, Simply Shic is full of deliciously stylish treasures at very affordable prices! 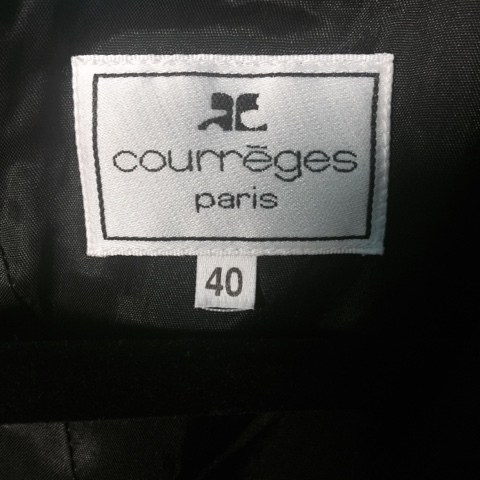 One of my favorite pieces is a vintage dress by Courreges Paris, it's a black wool shift dress. I didn't show here, because my photo did not do it justice. Shica holding a very glamorous photo of Elizabeth Taylor from the adaptation of Tennessee Williams' play, Cat on a Hot Tin Roof. 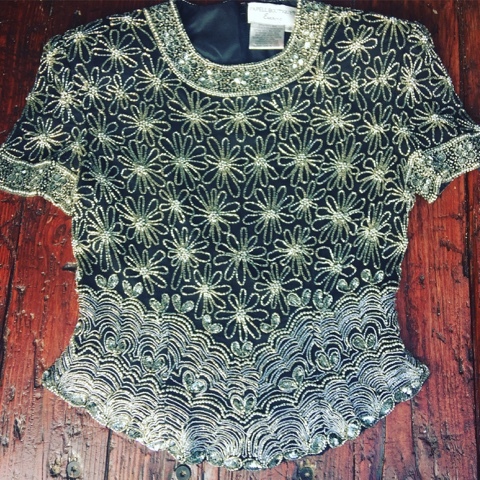 This gorgeous vintage piece is hand-beaded with thousands of silver bugle beads & sequins! Wearing vintage means it is rare to run into someone wearing the same thing! I styled this outfit based on a recent ad from Gucci's 2016 Cruise collection! 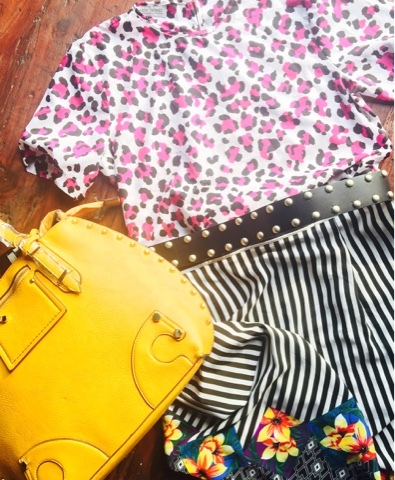 A wild mix of color, patterns and textures mixed with new and old. 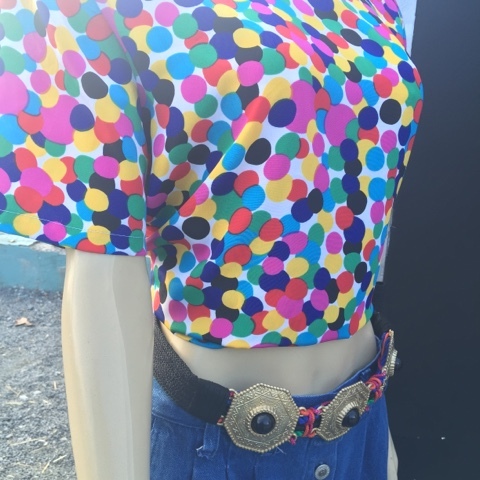 Shown here: Vintage Patterned Silk Top with Denim Skirt and a Woven Brass Medallion Belt. 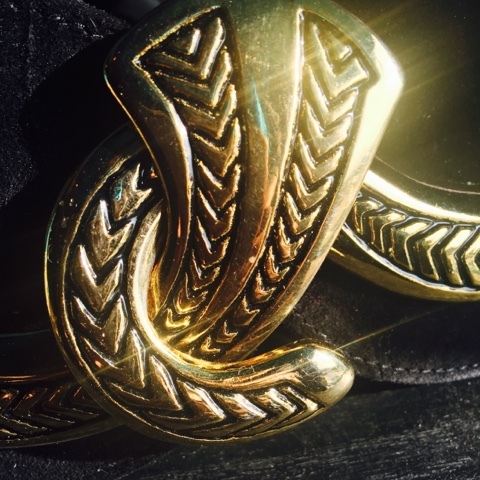 This antique hand-finished belt buckle has beautiful details! I am showing you the details of this vintage skirt again, because I want you to look below. 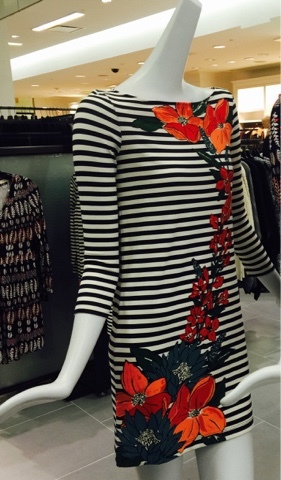 Last night, I snapped the below photo of a current Tory Burch dress! Crazy similarity! Old can always be new again! 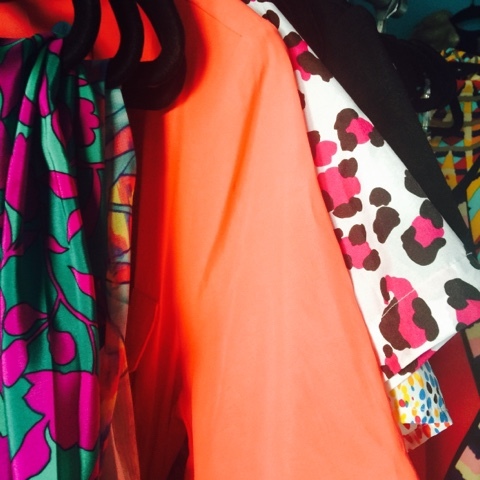 Follow Shica's stylish trucking adventures around the South via Instagram and Facebook @simplyshicfashiontrunk.